Welcome to our real ale pubs review section. All reviews are split by geographical region and we have a search facility in the sidebar if you would like to check if your local has been listed. If you would like to review a good (or bad) real ale pub, we’d love to hear from you. 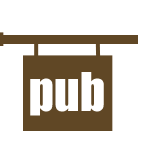 All pub reviews can be submitted through our online form by clicking here. 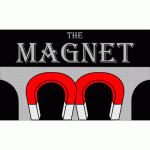 I popped into The Magnet for a quick pint shortly after it opened in November 2009 and have been a regular visitor ever since. From the outset it was quite simply streets ahead of anything else in the area in terms of range, quality and value – and this is an area already sporting a couple of very decent local real ale emporia. When it first opened, it was still very much a work in progress and the owners have continued to improve, extend and generally beautify it ever since….